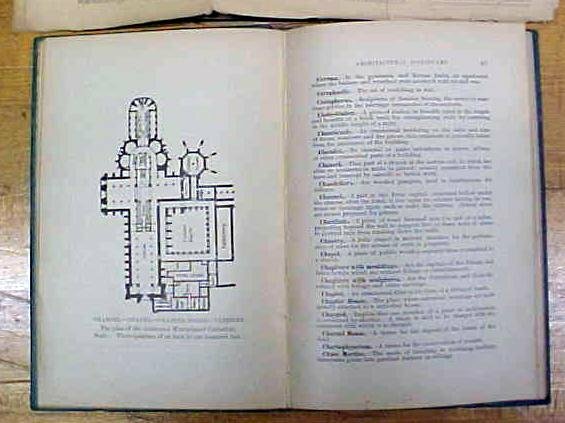 This is a rare and hard to find, hard cover, 1st edition of "A Dictionary of Terms Used in Architecture and Building", "COMPILED FROM THE BEST AUTHORITIES, PROFUSELY ILLUSTATED" Publisher "INDUSTRIAL PUBLICATION COMPANY 1909" COPYRIGHT SECURED 1909 BY INDUSTIAL PUBLICATION COMPANY". This book has a a good green cloth covered hard cover, slight fading on the color, some minor edge dings, and two small spot where the cloth is torn through on the side edge of the front and back cover, otherwise very clean. 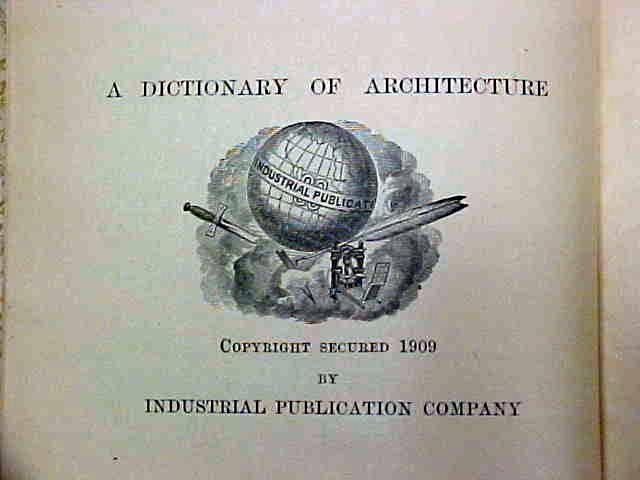 The front cover is marked in white lettering "DICTIONARY OF ARCHITECTURAL AND BUILDING TERMS", slightly diffent title word order than the inside title mentioned earlier. The white lettering on the front cover is worn off in some spots but legiable. The spine title is pressed, but no lettering color, a bit hard to see. The hardcover has 104 pages. Many of the terms defined are terms used for various building features from the Roman era, to present. Lots of illustrations! This book measures 5 x 7.5". Also included is a folded group of reference architectural that also has a few additional pages of ornamental architectural pictures, most not shown in the book. These pages were folding and in the book when I bought it, so I am including them in this offer! 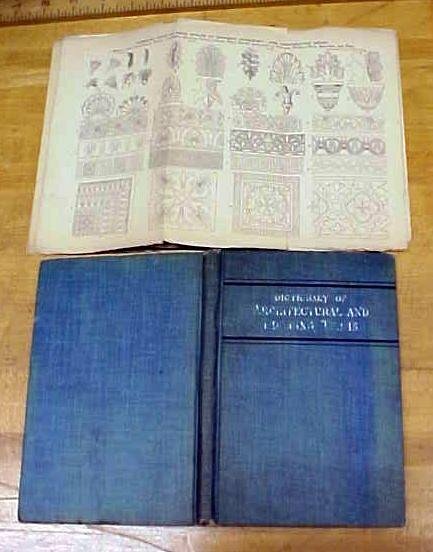 Many designs that are not in most books I have seen on this subject! 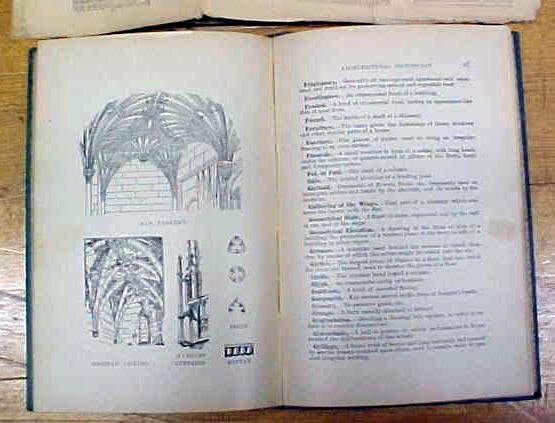 Items Similar To "Dictionary of Terms Used in Architecture and Building 1909"